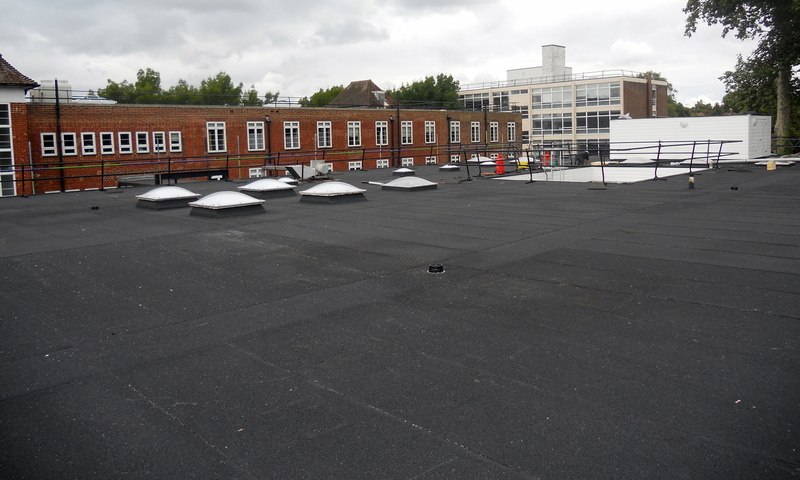 Happe Contracts secured the contract to provide a new roof covering for The Richmond Business School. The project was a total re-roof of the building, involving the removal of the existing slate roof covering and replacement with new Eternit ‘Rivendale’ synthetic slates. Eternit is a fibre cement often used in roofing, building and construction materials, mainly because of its strength and durability. Rivendale slates offer the latest in outstanding aesthetics with a finely detailed textured surface and dressed edge. These slates are constructed from fibre cement and are the only product of its kind that can achieve an A+ (the lowest environmental impact) as defined in the BRE’s Green Guide to Specification.